BHS offers its students a variety of course options in the core academic areas of English language arts, mathematics, science, and social studies designed to address the needs of a wide range of academic abilities. Our curriculum is designed to meet and exceed state and national criteria and challenge our students to think beyond the four walls of a classroom. In addition to regular course offerings in English and language arts, BHS offers its students honors, dual credit, and AP credit options. BHS offers traditional, honors, dual credit, and AP course options in its science department. Courses include biology, anatomy and physiology, chemistry, and physics. We must learn from our past to avoid making the same mistakes in the future. 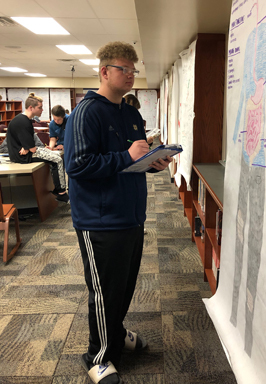 Students learn a portion of the human story as they study United States history and government, psychology, social sciences, and world history. Look to the side of this page for our course description guide, which includes specific course offerings and details about each class we offer.